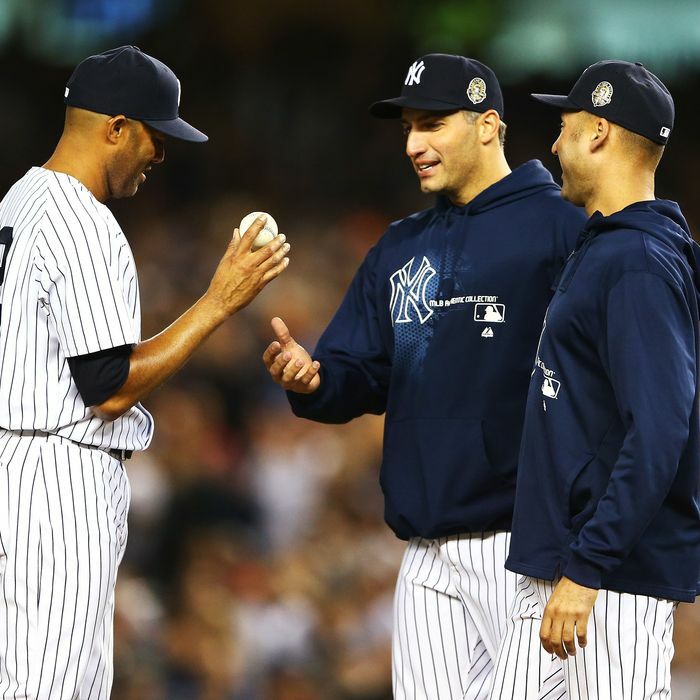 Mariano Rivera, Andy Pettitte, and Derek Jeter. Mariano Rivera made his final appearance in the Bronx last night, retiring all four batters he faced in a 4–0 Yankees loss. It was an emotional night, and the below videos aren’t the only moments that may have made you tear up. (There was also, for instance, the on-field interview after the game.) But these three moments in particular stood out.